To investigate the functionality and information offered by the Simrad TV80, check out our simulators. 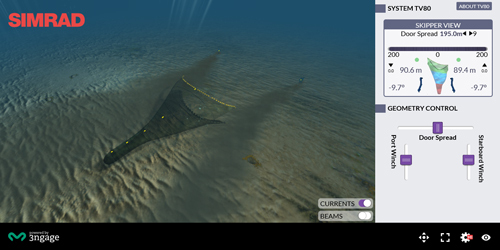 Three simulators are provided to reflect three different trawl scenarios. Use the links to open the simulators on separate pages.